Exciting news everyone! This is your opportunity to win £100 to spend at Kitchen Stools Direct. Who are Kitchen Stools Direct? Well, Kitchen Stools Direct sell a fabulous, extensive range of kitchen and bar stools - they have something to fit in with everyone's kitchen, be it traditional, contemporary or unique. What can I buy with my £100 if I win? Pod Bar Stool - You have got to love this stool! This contemporary stool is very unique and it's such an amazing design, your friends won't be able to do anything except stare in awe! Very much a bargain too at just £49.99 - you could buy two of them if you were to win. The stool is available in 7 fantastic colours - black, blue, pink, red, silver, white and yellow - so something to such each persons individual choice and colour scheme. It has gas lift seat height adjustment, has an ABS plastic swivel seat top, footrest and chrome base. Perfect for your home bar. Bentwood Faux Leather Kitchen Stool - I think this is my personal favourite. It is very modern - looks very comfy. This is a gorgeous stool in black - perfect for your breakfast counter or home bar. It has a luxurious, padded, faux-leather seat top, gas lift, 360°rotating seat top and chromed stainless steel footrest and leg. A great price at £99.85 too - you could buy it with your win! 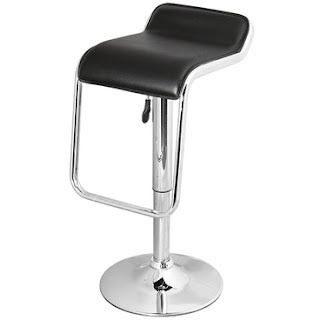 Vista Bar Stool Chrome - This Vista bar stool comes in an iconic pyramid shape with a polished chrome finish. I find it is a very surreal, unique design that would add piqued interest to your home bar. It is very fashionable and modern and its chrome finish means it would fit in with any décor. 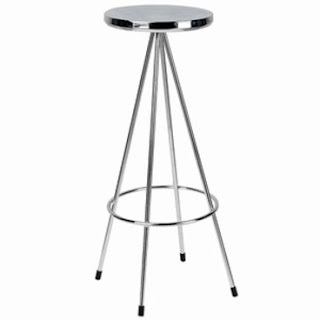 It has a solid four leg construction, chrome plated finish and is stainless steel. You could afford a pair of these with your win. 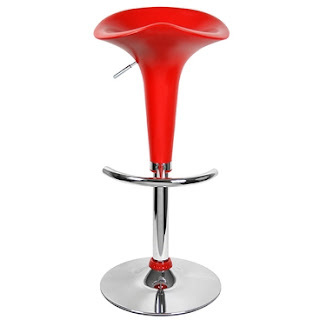 To participate in the contest to win a Kitchen Stools Direct gift voucher worth £100, you need to copy and paste the following tweet on Twitter: "Kitchen Stools Direct has some fab bar stools in stock. Check it out http://www.kitchenstoolsdirect.co.uk #KSDMyRandomBlurb"
The competition will run from 17th April 2011 until 1st May 2011.